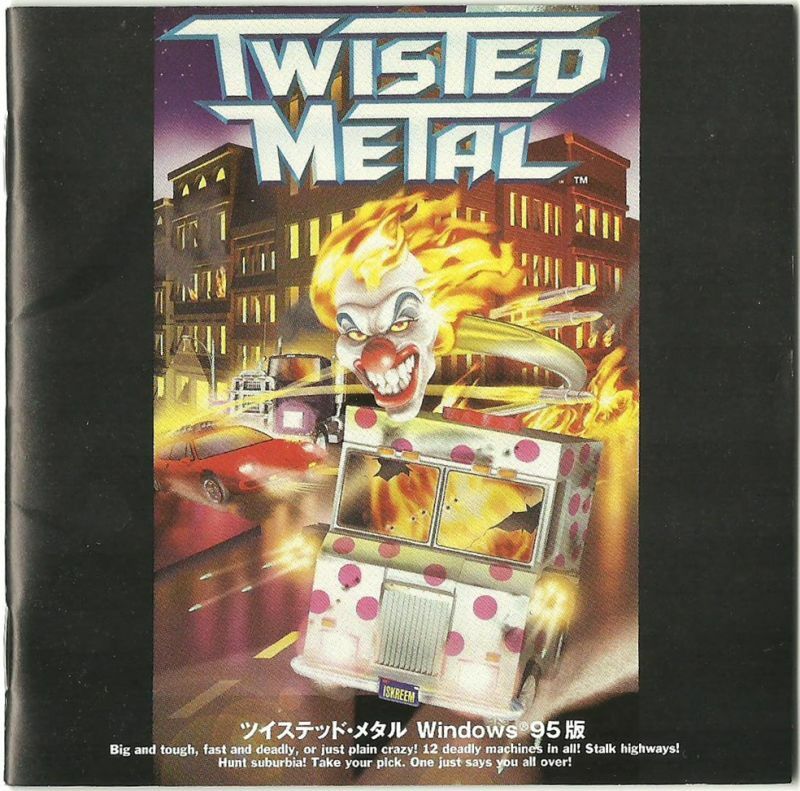 So when twisted metal 3 came out, I think I was about 2 not a functioning human yet, my mom bought it and loved it. I remember it as we owned the game, she also owned CD copy that had the sweet tooth head on it, it contained music that hasn't even on the game, so no Rob Zombie, it instead had Eve 6 -inside out, Republica- ready to go, and weird other music. So as it goes, I now can't find the physical copy, and I can't find anything on the internet about it. At this point, I think i'm hallucinating my past, but if someone does know what was the point of it? If they released a soundtrack why did they choose that music instead of the TM3 soundtrack it self? There are variant versions of TM3 & 4 that included a "Twisted Trax" CD of music bundled with them. But they are very rare. You can't really find TM3's anymore but you can find TM4 with Twisted Trax 2 on the net, in case you need proof that you weren't hallucinating. TM3 the game disc itself works as a music CD though, so I guess they felt the bonus audio CD didn't need White Zombie, etc. Exactly what Mosh said. 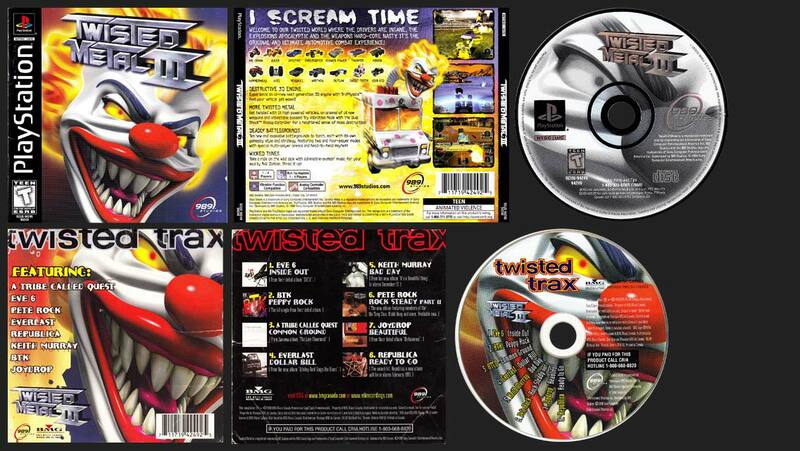 Twisted Metal 3’s Twisted Trax is nowhere to be found on the internet. I can’t find a physical copy of it and one hasn’t been sold in a long time. I cant even find a photo of the cover. Twisted Trax 2 is extremely rare as well but a few have sold over the past couple of years. So I did a little digging through the internet to find an old ebay post selling it for US$9.99, and it being sold on may 5th, 2017.
it's so bizarre to me, how rare and random it is. on the bright side I can think right now. So that being the tracklist it's pretty mediocre. Awesome find with the photo. The most recent listing I saw was for TM3 with Twisted Trax included. The two TM4s I have seen were sealed but I believe a user on here has an unsealed one. I have a sealed copy of TM4 with Twisted Trax 2, and ive been trying to find a copy of TM3 with the original Twisted Trax with no luck as well!